To simplify the floor plan, obstructions were removed, and the kitchen was moved to the central core of the house. Now as you entered the house, you no longer faced a wall but are drawn into the family room and kitchen, opened up beyond. 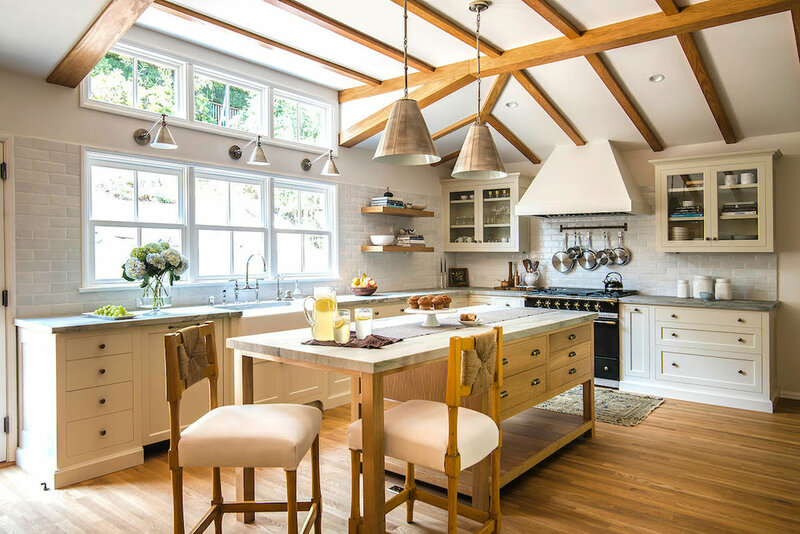 A newly vaulted space detailed with wood beams and the addition of a pair of dormers with banks of windows below allowed light from the rear yard to fill the room. 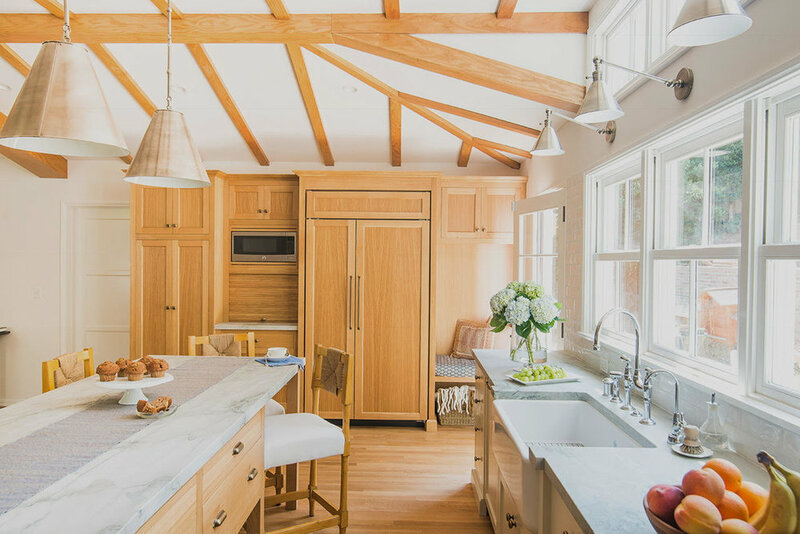 A new working island designed to imitate farmhouse furniture is the centerpiece of the new kitchen. 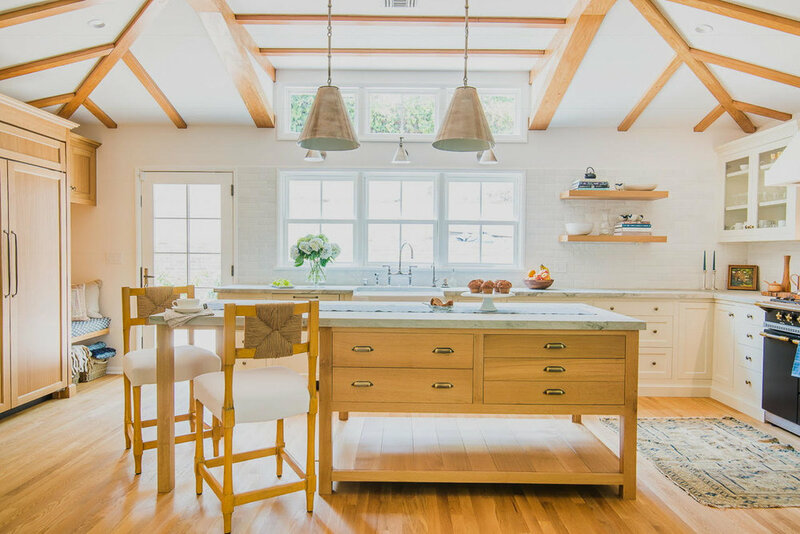 Simple Shaker cabinetry, Quartzite countertops and discreet glazed brick tile backsplash allowed the kitchen to not overpower the open floor plan. 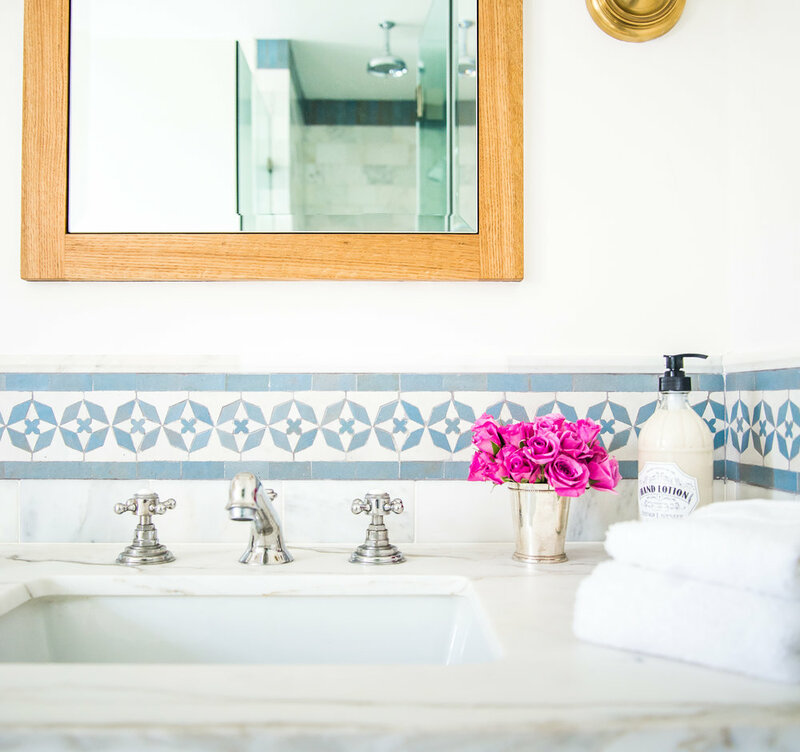 Both bathrooms were reconfigured and remodeled with blue and white Moroccan tiles, rift cut oak cabinets and marble counters.